We all make mistakes from time to time; it’s literally human nature that prevents us from being perfect. Now the difference is, how big or small those mistakes are because it is not always about our feelings. It’s a common scenario that our mistakes will end up hurting the people we love most, in this case, the so proclaimed “woman of our dreams”. But what separates men from boys is the ability to literally “man up” and accept your mistakes and ask for forgiveness. But if your mistake was a major one, just a few words on a cute Facebook message won’t be enough to make her forget your stupidity. You need to fully express your feelings, and relay to her that you are truly feeling sorry for what you’ve done, and that takes some writing. But you being here makes me realize that you have absolutely no idea what to write. But have no fear! We’ve done all the work for you. So here are the best letters you can send to your girlfriend to say sorry. Dear love of my life, When I first met you, I promised not only to you but also to myself, that I would do whatever I can to make you feel happy. Something that, judging by how you’ve been acting towards me the past few days, I’ve failed miserably to accomplish. Yet, I want you to know that all of my actions have been towards that goal, making you the happiest woman on earth. Thus, seeing you unhappy really breaks my heart, especially knowing that those feelings derive from my actions. I also want you to know that I will do whatever it takes, whatever you ask, whatever needed to get you back, to make you forgive me. You truly are the love of my life, and I cannot imagine how my life would be without you. The only thing I want is to make you happy, I love you. It really took me lots of courage to write this, but here I am asking for forgiveness. I know I made a terrible mistake, and that you probably don’t want to see my face again, but truth is, I love you. I love you more than I could possibly ever love anything else. That is why I cannot let it end this way. I have come here fully prepared to do whatever it takes to get you back, even if it costs my life. So please, think it over, think of all the great times we’ve been through, of all the things I’ve meant to you over the years, and of all the things you mean to me. And when you do and decide you want to forgive me, I’ll be here waiting for you to do so, no matter how much it takes, because I love you. As tears are rushing down my face every night after you left me, the only thing I can think of is you. Hurting you destroyed my more than I could ever possibly imagine. I know that no matter how many times I say I am sorry it will not matter. 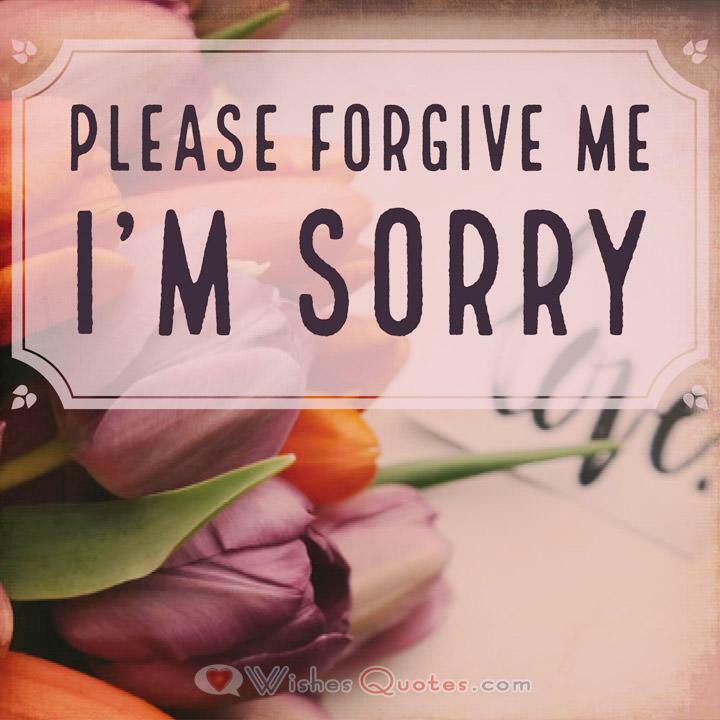 I know everything was my fault, I know I was a fool and a complete screw-up, but if you have the least bit of humanity and love for me left in you, I am begging you to forgive me. Please come back to me and let us live the rest of our wonderful lives together. I love you, and I am going to keep on loving you for as long as I live. I am perfectly aware of all the mistakes I’ve made. I may not have been aware of them in the past, but now, in my moments of solitude, the only thing that I could possibly think of was all the ways I could have been a better boyfriend. My only thoughts were what could I have done differently so things did not end the way they unfortunately did. Yet, I hate dwelling on the past, so, moving forward to the future being the only thing I want to do, I want this future to be with you. I desperately need you in my life, since you are the only one that makes it worth living. So please, my love, forgive me for my stupidity and let me do everything in my power to make things up to you and provide you the future you deserve.